and this life has its source in His Son. God has given us life in Christ. convinced that it comes from God, who cannot deceive or be deceived. and the conviction that Jesus is true God. which is the seed and first-fruit of eternal life. 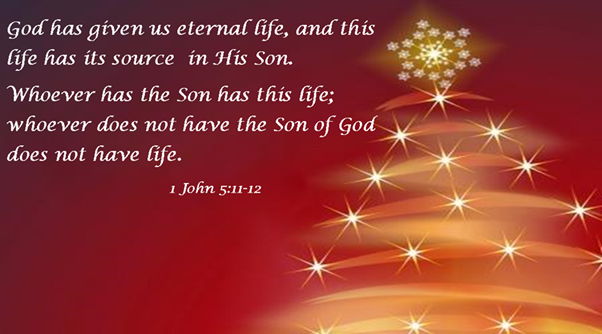 That life can be given us only by Jesus Christ, our Saviour. Jesus, You are the Joy in my heart!